In a small bowl, mix the cinnamon, cumin, salt, ginger, mustard, nutmeg, cayenne, pepper and sugar, set aside. Line a baking sheet with foil, then spray with nonstick cooking spray to cook. Rinse salmon with cold water and dry. 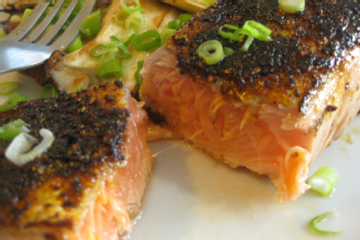 Lightly sprinkle the skin with the spice mixture, then place the salmon skin side down on the prepared baking sheet. Sprinkle remaining spice mixture evenly over salmon. 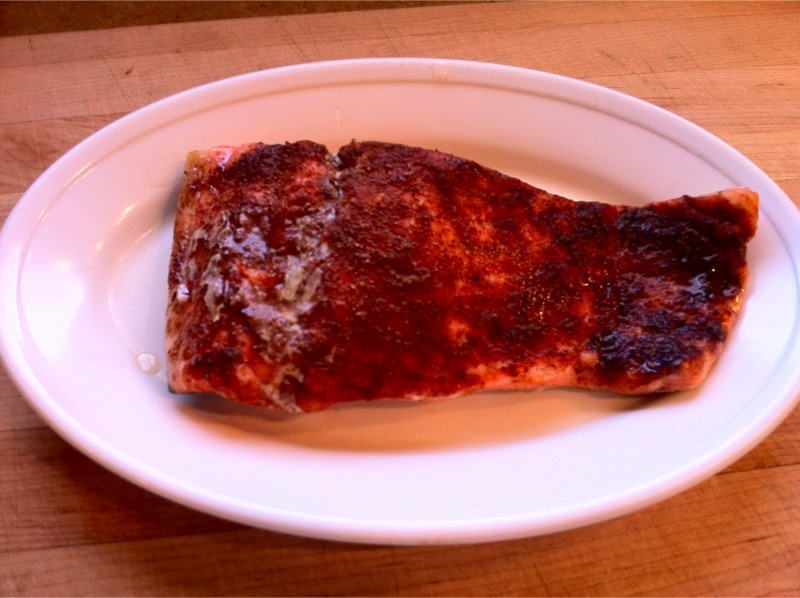 Allow the salmon to room temperature, 30 to 40 minutes. Sprinkle the salmon with lemon juice and roast in the oven for 12 minutes. Remove from oven and allow to stand at room temperature for 15 minutes. The salmon will still be rare when removed from the oven, but will continue to cook as it rests. After 15 minutes, wrap the fish tightly with foil and refrigerate at least 2 hours before serving ..